If an oil company offered a £200,000 donation should they accept, knowing that the biggest issue affecting humanity over the next 20 years will be climate change, and knowing that their theatre forms part of a cultural narrative that must drive the shift towards a more sustainable future? … It’s important that we consider what harm we do by allowing unethical brand identities to align with our own. Will that rock opera about childhood obesity be quite as hard-hitting if it’s sponsored by a soft-drink manufacturer? Will that devastating play about the exploitation of cheap labour in developing countries change anything if its costumes are sponsored by a high-street clothing chain? We face another bottleneck in the human story. I’m for the future, not the past, which is why I reject fossil-fuel arts funding. The participants commit to rejecting direct fossil fuel sponsorship, e.g. 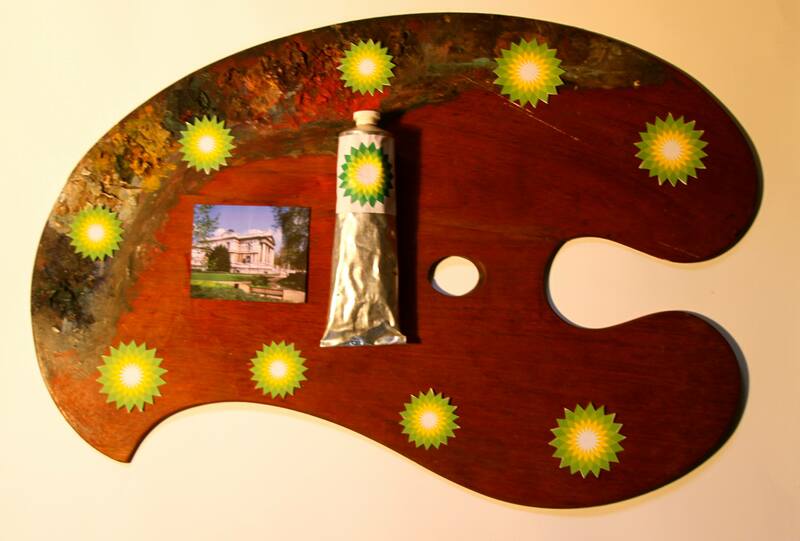 a BP-branded exhibition or event. When working with, or selling work to, an institution that does take fossil fuel money (such as Tate galleries in London or Metropolitan Museum of Art in New York), the participants commit to raise the issue with the institution. The Royal’s Court’s response to the key issues of the day is always through our work and our brilliant writers who lead the agenda. They ask the big questions and respond to the moment. We see quite clearly through their eyes and words the terrifying impact climate change is having not only on our world but on the future for our children and grandchildren. We therefore do not feel it appropriate to accept sponsorship from fossil fuels and have this ratified in our ethical policy. To join the Fossil Funds Free commitment, click here. To encourage your favourite gallery, museum, or theatre to sign up, you can use the sample email here.